This is the third installment of "Blog Talk," in which I will give my opinion on different aspects of blogging and then continue the discussion in the comments. Because I want to hear what you have to say! Yes, you're even allowed to disagree. Just be nice about it. *Feel free to email me or leave a comment if there's a particular aspect of blogging you'd like me to cover in a future installment of Blog Talk. #1: How Do You Get So Many Comments? #3: What Do You Think About Sponsorship? #4: Why Do You Unfollow Blogs? This post was really hard to write for some reason, and I think I rewrote this like three or four times. Here's the thing: lately I've felt annoyed by the whole blog sponsorship thing. Which is why this post was difficult to write, because I realize I'm basically in a blogging camp all alone on this one. As we saw in Blog Talk #2, what works for me won't necessarily work for you, and I do not want my opinions to come across as mean or rude to anyone who who offers sponsorship on their blog. I spend a lot of time creating my posts and interacting with you lovely people, and if I had to use up some of that time to plan sponsor posts and giveaways, I don't think I would have as much quality content. I work full time, M-F. There just aren't enough hours. I also don't think blogging would be as much fun for me. I see so many posts from bloggers talking about how stressed out they are by blogging, how uninspired, and blah blah blah. You know what I think? It's sponsorship! That's the problem. Maybe not in every case, but I think it is in a lot of cases. I mean, it's not like we go around complaining about our other hobbies. If I don't want to crochet or play tennis, I just take a break. Sponsorship in many ways forces you to keep blogging, because you now have other people involved in your process. I also wonder how much sponsorship even works. Sure, you might get more followers, but do you get readers? When I see a tweet from Blogger A pushing a post from Blogger B, I wonder if Blogger A really thinks that is a great post, or if Blogger B signed up for a sponsor spot that included "social media shoutouts." It kind of ruins the validity of twitter for me when I see these posts popping up all over the place, and I rarely click on them, to be honest. It seems sometimes like blogging is one huge popularity contest. People go to your blog and instantly look at your follower count. If it's high, they jump on the bandwagon. You have 2,000 followers! Your blog must be good. In like manner, if you have only a few hundred followers, you must not be good. But I feel like the fact that we can offer sponsorships and pay for sponsorship to get followers to increase our GFC number or whatever perpetuates this idea that the higher the number, the better the blog. I know this isn't true, because most of my favorite blogs have less than 400 followers! I've been blogging for four years, and I can tell you for a fact that there will never be a number you could reach on your follower count that will satisfy you. I talked more about this in my post on how to be a successful blogger. I don't think all blog sponsorship is bad, and there are plenty of people who do it well. But I feel like I'm seeing this growing mentality that the next big step of your blog is to offer sponsorship, and I disagree. *If you're interested in reading a great post on the topic of monetizing your blog, check out Betsy's post. I named this series "Blog Talk" because I do want us to talk to each other. I don't know about you, but on these types of posts I enjoy reading the comments just as much as I do the actual post! I have my opinion, but I want to hear yours. On these posts I will write back to comments in the comment section (instead of through email) so we can learn from each other, so be sure and check back. And again, you can disagree, but be nice about it. Any unnecessarily rude or nasty comments will be deleted. The Lady Okie has spoken. Why do you (or don't you) offer sponsorship on your blog? Do you feel like offering sponsorship is what makes a blog a "success"? Do you read sponsored posts or click on sponsored tweets? What aspects of sponsorship make you frustrated? What aspects do you like? Agree! I hate reading blogs that are purely sponsored material. They aren't as genuine....always trying to push and sell. It makes reading not fun. HEY thanks for the shout-out! I won't write an essay here (because I already wrote two on my blog last week about it...) but I wanted to tell you (and any very thorough readers who are reading your comments) why I jumped at the chance to sponsor Runners Tell All. I loved that it's not a money-making venture and it's not even specifically a GROW YOUR BLOG WITH MORE FOLLOWERS venture for the sponsors (though obviously that is a nice perk) - it's about building community amongst like-minded bloggers, and beyond being able to provide the giveaway product THAT DOES NOT HAVE A MONETARY VALUE. I totally agree. I added "sponsorships" to my blog last month - which is really just a fancy way to say button swap. And, really, it's just added work. It's been a good way to meet new bloggers and build relationships, but you're totally right - it takes away from developing content on the blog. I wish there were better ways to gain READERS (not followers). I love the aspect of meeting new bloggers and building relationships. That's what's fun about blogging for me, and if sponsorship helps with that, that's awesome. 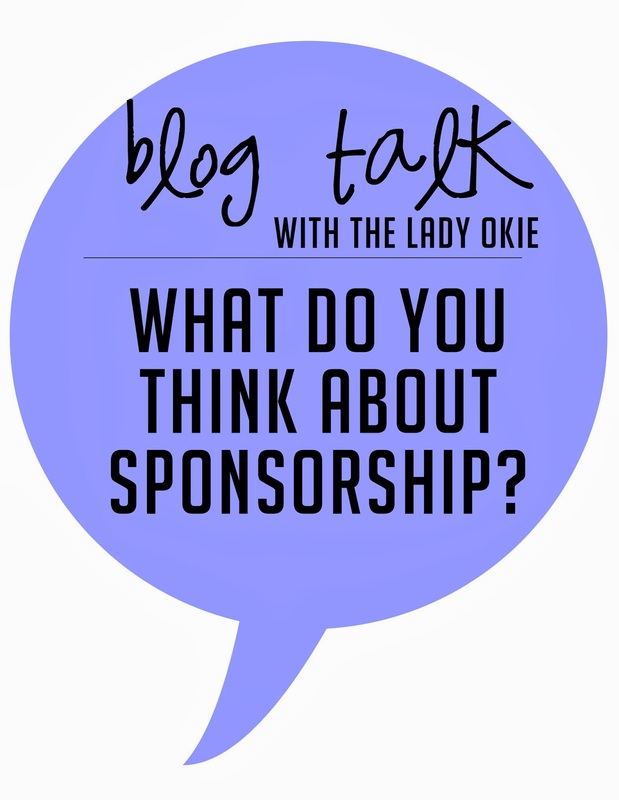 One of the things that makes me nervous to offer sponsorship on my blog is... what if someone wants to sponsor you that you don't necessarily want to endorse? I guess you just say no, but that sounds mean, right? I don't know. Hopefully you never have that problem :) And I really do hope it goes well for you! 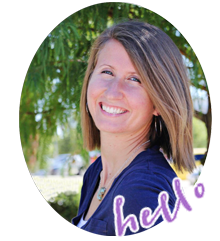 If you think of a good way to gain readers, not just followers, I'm all ears, Jenny! Lady Okie, how do you do it? You put into words exactly what I am feeling. And thinking. It's sort of creepy, really. Or really cool?! I couldn't agree more, is all I'm gonna say. It does seem like a blog isn't legit or has potential when it doesn't offer sponsorship, and why the hell wouldn't it? We bloggers are weird. You will always be a "real" blog to me, and one of my faves! I was very anti-working with brands for awhile, but eventually a few opportunities came my way and I went with it. My golden rule is never, ever talking about something I would never pay for. Actually, most of my sponsored posts are ones I pitch myself- it's a creative way for you to use my Advertising degree and I love it! I completely agree with this. I also blog because it's a fun hobby for me - and I don't feel "forced" to do it. I just like to. I got married last month and was away on my honeymoon and didn't post at all - and it was FINE. However, if I had sponsors paying to be on my page, I wouldn't have been able to do that. I can see why the money would be tempting, but I think it would take the fun out of it for me! Right now I'm not offering sponsorships because I have a relatively new blog and am trying to gain my own following before branching out. I think sponsorships are a great thing, but a lot of bloggers tend to overuse them get overwhelmed by it. One of my favorite blogs actually has very few readers and no sponsorships or anything. I totally agree that popularity alone does not conclude how great a blog is. To be honest, I never pay attention to how popular a blog is. I look at the bio of the author behind the blog, and the content of the blog itself. I'd love to read that post when you get it done! I do read some sponsored posts, and I actually have found bloggers I love through sponsored posts, so I guess I'm being hypocritical.... Maybe it's just that there seems to be *so much* of it (sponsored content) that I get overwhelmed. But I also think in many ways I'm choosing to let myself get overwhelmed, which is ultimately my issue :) Thanks for the comment! Elizabeth - I have a question. 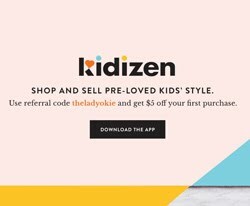 What do you do when a blog purchases an ad spot but you don't feel they are a 'fit' for your blog? What if they write about things that you don't believe? I like the way you run your sponsorships. Hey, Elizabeth. Thanks so much for the comment :) I was actually going to ask the same question as Beka. One of my qualms about sponsorship is, what if someone wants to buy an ad spot, but you don't feel like they are a fit for your blog? Obviously you can say no, but have you ever had to do that? I feel like the people I promote or have on my sidebar should be bloggers I am 100% behind. Has that come up for you yet? I honestly have had to turn a couple people down and it was so hard at first. I made a commitment early on to be authentic and real. I never want anything I do to make money or grow my readership to fall outside of my mission statement (grated I am not perfect but I try hard to keep my focus on what I think ultimately matters). I let a couple sneak in at the beginning because I felt bad (and the money was nice) but then I found it hard to promote something I did not like or agree with. I have gotten a lot better at turning people down graciously! 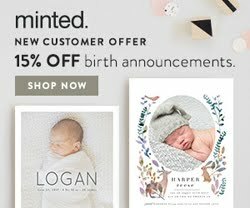 I am honest and straight forward and I say something like " Thank you SO much for your interest working with Oak + Oats but I do not think you shop/blog is a good fit with this place and my readership! I value you and your money and encourage you to advertise with another blog that may fit your product/ content better. Thank You!" I also mention on the advertising page that I value authenticity and if I feel like it is not a great fit I will return your money. And I have never received a negative reply back with returned money (yet) because I think they are glad they are not going to waste their money/ they didn't really care about my blog (they advertise all over). Thanks for your perspective on that! Yes and yes and yes again! Especially with Twitter I have said this before but when I follow someone on Twitter it is to hear their random ideas and thoughts and not to see post links to other bloggers or archived posts but that is a whole other kettle of fish! To be honest, I actually enjoyed reading this post from someone who, as you said, is in a blogging camp of their own because it was nice to see the other viewpoint of the sponsorship topic. I'm a teeny tiny blogger so I feel like I can't add a whole lot to this as I don't offer sponsorships and have only sponsored a handful so far myself, but I can totally see two sides of the coin...yet I never hear anything about the other side (until now). Thanks so much for the comment, Renee! I don't think this is a topic I've seen written about much, and it's something I have been thinking about for a while now. I don't think sponsorship is a bad thing at all, but I also don't think it's for everyone. And I am also one who truly believes that by far the best blogs are written by smaller bloggers. I might err a little on the side of "reverse discrimination"--clicking away from a blog if I notice a high follower count because I assume it won't have very interesting content. Rachel - I love that you read small blogs and I like that you are open to pursuing $ by writing articles for magazines. My blog title doesn't have my name in it, but I completely agree :) This is probably (read: definitely) very hypocritical, but I'm fine with writing a guest post when someone asks, but I do not want someone else to do a guest post on my blog. I have a lot of family and friends who read my blog, and I just don't want to add another voice on here that isn't mine. Not that there's anything wrong with guest blogging! It's just not right for me. And... I kind of do the same with with reverse discrimination :) I really have found the best bloggers to be the smaller ones! Like I said before #blogstitute ;) I'm still riding on the fence on what to do, as you already know. I'm glad you shared how you felt and I don't think you are the only one who feels that way. I've seen them around, but I wouldn't consider offering sponsorships for my personal blog. Writing/blogging are my therapy, outlet, and ministry - I do have a side business where I would consider button-swaps or affiliate discounts for other businesses, but sponsorships don't make sense either: readers aren't my goal, clients are. I like what you said about being able to drop hobbies because that's how I feel with blogging and even with the business sometimes, wanting the flexibility to turn it on and off as I feel inspired. I do like button swaps but I just don't have the time to have paid sponsors. I am not sure if i will in the future but right now it just isn't for me. I think some do it really well and others not so well. I have sponsored others and the guest posts always stress me out. I will click on a twitter shoutout if it sounds interesting but I do pass over a lot of sponsored posts. AMEN! I've actually been thinking about this a lot lately. I "make money" from ads, but if I were forced to swap out buttons of monthly sponsors, schedule shout outs, etc...it would be a little much for me. Absolutely love your perspective on this and I totally agree. I also find that it's easy to spot a sponsored post a mile away and generally I find myself scrolling through (and not reading) and not following up to whoever or whatever the blogger is posting about. It does generally feel that there is a lack of creativity and dare I say it...err...honesty? Maybe it's actually a lack of genuineness. Either way, I do prefer posts that are organic! I don't and will never offer sponsorship on my blog. I just don't want to make money out of this. This is not why I blog at all. I never read sponsored post because, most of the time, they feel forced. When I do share things I've found or liked, it's not because somebody paid me to do so. It's because I genuily found it interesting and wanted to share it with my readers. I have paid for a few ads here and there but stopped soon after that because the traffic on my blog hadn't increased and because the bloggers I had chosen didn't even come and read my blog. Like you, I am not saying sponsorship is an all-bad thing, but I think it's become too "normal". It's everywhere and I'm getting tired of it sometimes. I just want to read what people have to say. Not what they have to sell. Loved reading your perspective on this. As a new blogger I've thought about sponsoring blogs but I'm on the fence about it, and you really articulated why. I don't think bloggers who offer sponsorship are bad, or that sponsorship in and of itself is necessarily a bad thing, but I can definitely see how it could be counterproductive or more than it's worth. I don't want to blog just so I can feel like I'm winning some imaginary popularity contest, what is the point of that? On the other hand, I have found blogs through sponsorships that I might not have found otherwise, so that's pretty cool. I usually only click on a new blog if I happen to see their button and it catches my eye - honestly, if the sponsor is promoting them, I usually tend to keep scrolling. I don't know, I'm undecided and probably won't be sponsoring any blogs unless it's something I'm sure I want to do. Well, the primary reason I don't offer sponsorship is that I don't have enough followers for anyone to think it's worth it! I used to feel like sponsorship is something that eventually I'd want to do, but I think I've changed my mind about it. I think it's awkward to be asked to promote things that I'm not necessarily a fan of, and it seems like more stress than it's worth to deal with turning people away. I like having blog friend links in my sidebar, but I don't necessarily think doing so makes me more successful or anything. Reading the comments here has been really interesting. I'm realizing that I am a pretty gullible person (I always believe every single April Fool's joke), and I never questioned when other people tweet links for other blogs than their own! Now I am going to be suspicious! I am so not into sponsoring! I don't offer any on my blog and the only sponsorships I've ever had on other blogs are swaps or because I won it. At first the concept was so bizarre to me that I felt like I must be the only one who didn't really get what was going on and why people were paying money to other bloggers to have an ad. I kind of get it more now but I still don't really get it. I am so giving you High Fives right now. I don't get this sponsorship thing. I've been blogging for 7 years now & this is a new trend to me. Plus, I just check out - when I see posts dedicated to promotion someone else, I don't even read - I immediately click off. If I want to click on someone advertising something, I'd just google that. I don't get it. & you're so right - I've found some of the best blog friends & reading from some of the smallest blogs that just do it for them & write what's on their heart... not to be in a contest or to get more readers to seem popular. PS - what is with those giveaways that you have to click 100 different things to get entered? Again - not worth it. You really put into words many of the things I've felt when considering blog sponsorships. I definitely think that there can be some great sponsored posts out there, and I have found some great blogs through sponsored posts, but more often, I mostly disregard those posts that aren't written by the blogger! I've also found that some of my favorite blogs to read are actually the somewhat smaller ones, that don't even post on a regular basis. I love them for the content they produce, when they can, not because they just give me something to read every day! And I think because my blog is sort of like that, the idea of offering sponsorships is just not a direction I'm interested in going. I love this post/topic so much! I agree with your sentiments on sponsorship. They often drown out the blogger's own voice and begin to make blogs all sound the same. A more effective, though not monetarily rewarding, way to introduce me to a new blog or product is to simply link to it, rather than craft a whole post around it and/or earn money from doing so. Despite my distaste for sponsorship- and giveaway-heavy blogs, I realize their are single parents or college students struggling financially who rely on the little extra income the get from blog sponsors. I understand this, but still am drawn almost solely toward blogs with fresh voices and ideas, and less commercial pursuits. I've been seeing this talked about in a lot of blogging circles that I read and I'm really glad to have read your thoughts about it! I've seen you informally talk about it on comments here, around other places, but I think this is a good discussion to raise with a more extended version of your thoughts. I definitely think what you're saying is true! I think that there is a lot of pressure for hobby bloggers to make money and that pressure can keep people off of their real goal. I think the important thing is for people to remember their WHY. Also, I do think that... it's an AWKWARD transition going into monetizing. It's a thing where you have to figure out what feels natural, what feels right, and also not sort of, violate your audience. My first foray into sponsorship was... not necessarily the best experience because... I didn't have a plan, I underestimated just how it would impact how I created my content and published to my blog, and I had a lot of hangups about... doing it but staying true to myself and whatever vision I had. I think I learned A LOT from that and will use it going forward if I go down that road again, but I do think that... there is such pressure for that to be "the next step" when it really doesn't have to be. You shouldn't feel "behind" or like an anomaly for just enjoying blogging for what it is. I always liken blogging to other creative pursuits. There are people who paint for fun, paint in a class, paint for their friends, and then paint professionally. Not everyone is meant to do every category, though there are some people who do. The world definitely needs painters of EVERY KIND. And if people just paint for the joy it gives them, THEN RIGHT ON! There's no "right" and "wrong" when it comes to art or creative expression -- that's the fun of it! I strategically saved this post in my feed because I was being greedy and wanted to read lots of other comments...so, thank you for sparking another conversation and for adding a fresh point of view to this topic. I've really enjoyed your Blog Talk series and Betsy's posts and have swiftly implemented some changes in how I do sponsorship after reading those posts...for example, I had scheduled a few "Welcome @Blogger to my sidebar" type tweets (though I promise they were more fun and creative, haha) but upon reading either Betsy or one of her commenters saying how much they disliked them, I realized...I did too! I thought they were obnoxious and didn't add much value, so I went and cut them and replaced them with shared posts that I really enjoyed and saved for later. Almost immediately after I started offering sponsorships, a brand approached me and wanted to sponsor. Their ethos was something I could get behind, but I honestly found their product unattractive and not something I would personally use. It took me two days of tossing and turning over it to politely decline, but that experience was a great opportunity to learn about responding to sponsors who might not be such a great fit. Something I'm considering with my sponsors is getting rid of differentiated spots--e.g. instead of having Featured (the largest), Standard (large), and Wave Hello (a small spot that's supposed to be just sidebar + community), just offer 4-5 spots of one size. I feel bad unequally promoting sponsors (especially because everyone has been awesome so far), but I have to remember that the reason the price differs is because the value offered differs. I don't love that so I may change it in the future. Anyway I'm not sure how much value I added to this conversation with my word vomit but hopefully someone will read this and feel encouraged to do their sponsor program differently, or add to the conversation here! Such a good topic. I will be opening my blog up to sponsorships in the future, but very sparingly. I want to use it more as a tool to develop a community of like-minded people. Plus, I do spend a ridiculous amount of time on my blog/photography, and would love to have it compensated in some way, shape, or form. BUT, with that said -- I completely agree that sponsorships are taking away from blogging. There are some bloggers' ads I see literally on 80% of the blogs I read in a category. It always makes me question what their business plan is, and why they advertise so heavily instead of focusing on content. I also am wary of bloggers who have 10+ ads in their sidebar. At that point, it feels more like the blog is a money machine, not a way to develop a community. And it makes me question their tweets/promotions. Overall, I think if it's done selectively and sparingly, it works out great! Otherwise, it's a blogging turn off. I was just about to schedule a post on these thoughts! I've been doing a lot of thinking about sponsorships because I'd love to make money on my blog because it is, in many ways like a job. But like you said, I feel like it's something that everyone does and it's something that isn't really a good fit for me (mainly because I hate the pressure to post and make this even more of a job). I'm sure that makes no sense whatsoever, haha. Here's to hoping the actual post will! I have seriously been on the fence about this and you may have just cleared things up for me. On one hand, how great would it be to earn a little extra cash for what you are doing anyway--but on another hand, I can see how really little it does. I've sponsored a couple bloggers, in order to grow my own blog and get it out there, but honestly, I find that just being sincere, and real with my posts, and keeping my followers engaged by responding to their comments, and promoting others who I really find valuable, is just as good if not better. Out of the 4 bloggers I have sponsored in the past, there is none who I feel I really know--nor do they even read or comment on my blog when I am not sponsoring them. So, basically, you just like me a lot during the month I pay you. I find other bloggers I've made friends with, promote me even more because they genuinely like me, and I feel like they know me better---for free. I stumbled on this post via a link to your most recent 'blog talk' by Betsy, hence why I seem to be 5 months behind the times. It's so refreshing to find someone who shares my outlook on the whole sponsorship malarkey. Recebtly just the existence of #ad at the end of an obvious (even without the hastag) copy and paste sponsored tweet has been enough for me to hit unfollow. And don't even get me started on the content some bloggers post which isn't even written by them.